Tinos ferry port lies on the biggest of the Greek islands in the Mediterranean Sea. Tinos is part of the Cyclades islands. Tinos has largely a Mediterranean climate with warm and dry summers and wet winters. 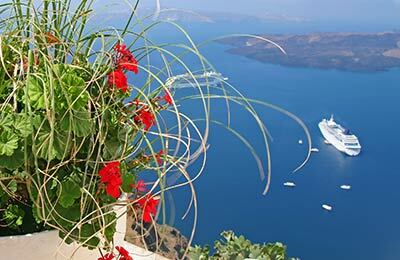 Ferries from Tinos sail to Andros, Piraeus, Rafina, Syros and Mykonos with the operators Agoudimos Lines, Aegean Lines and Blue Star Ferries. With the simple booking form from AFerry, you can easily find the best ferry for you. Below you can find Tinos ferry times, as well as our best deals. If you are travelling with Aegean Speed Lines, onboard services include a range of coffee and snack bars, a souvenir and gift shop, air conditioned lounge areas, televisions, smoking areas, outside seating areas, Wireless internet connection and disabled access throughout. Onboard with Blue Star Ferries you can expect to find a range of cafes, a gift shop, and an open deck bar. Tinos has two separate ports for the foot passenger traffic and the passengers with vehicles. The ferry ports are only about 800 metres from the town centre where you can find various amenities. 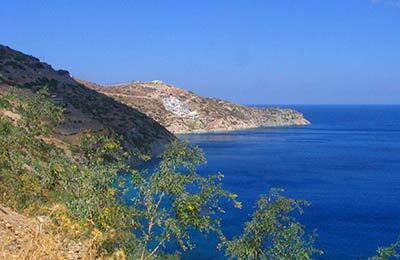 Ferries from Tinos go to the nearby islands of Mykonos, Piraeus, Rafina, Andros and Syros.